Are you a recruiter or human resources professional who is having difficulty finding the right applicants? Has the hiring process become too complicated in today’s testing-based environment? You may experience difficulty in telling whether someone will be a good employee for your company or clients. To this end, there might be too much bias in the way of hiring a professional for a particular position. Luckily, artificial intelligence or AI may be a new and important trend in eliminating bias in the hiring process. Now how can AI be used to eliminate bias in the hiring process? Below we outline the best ways that artificial intelligence can be used to remove bias from hiring and talent acquisition. Let’s get started! When it comes to bias, AI technology can look at patterns that you make in new hires. In addition, patterns can also be found in promotions. If you promote employees in your company, you might have unconscious bias. You may find others recommending candidates that are similar to themselves or entirely different. These patterns are key for defining bias in the hiring process. Consequently, this can help you diversify the pool in the future and hire more minority applicants. “This type of exception reporting can objectively hold managers more accountable for explaining, in writing, the justification for any hire that is similar in age, gender and race to themselves,” explained Kevin Mulcahy, an author and analyst with Future Workplace. This technology can be aimed at reducing as much human bias in the hiring process as possible. Therefore, you should teach your AI technology to remove human bias. All you need to do is provide the platform with application forms of employees with good customer satisfaction scores. This can help the technology learn more about the attributes and traits that make for good employees. Due to this, the system will take human bias out of the equation. Technology that uses an automated process will help you hire the right candidates without any bias. Artificial intelligence, for instance, can cut 100 resumes down to only 10 applications without using human bias. Thus, there would be no bias in 90 percent of the hiring process. So be sure to use AI technology if you want to remove all bias when hiring and find the right applicants regardless of age, race, or gender. 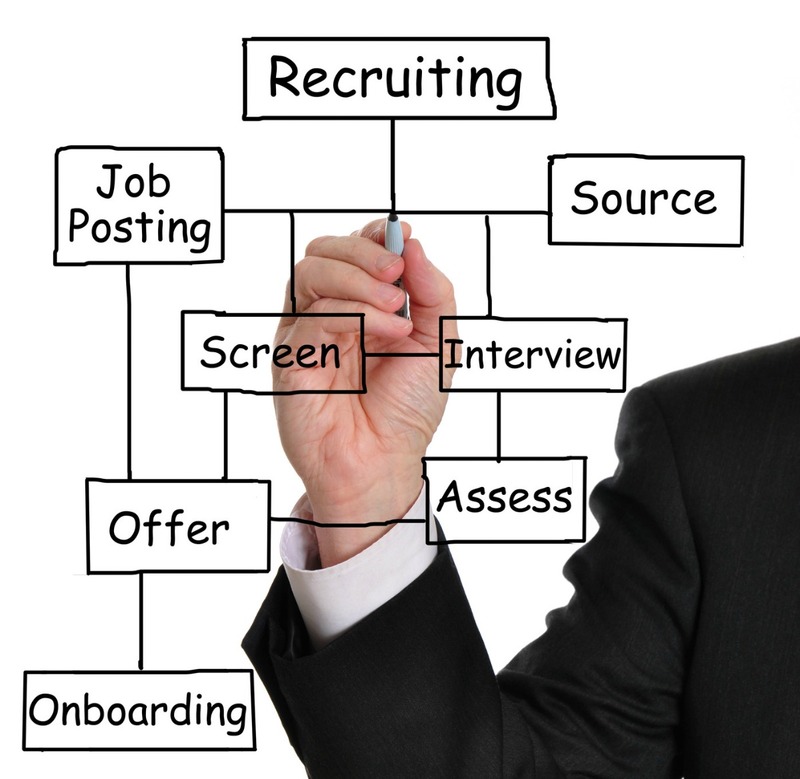 A very complex and major problem in the recruiting industry is candidate processing. There are so many people that send in their applications. Due to this, HR professionals often have difficulty organizing a large number of resumes. You may also find that you struggle to get the right candidates for the job. You may not find quality candidates in the pool of resumes on your desk. One survey from 2006 found that 46 percent of company leaders had trouble attracting qualified applicants. Technology such as AI can make all the difference. For example, AI candidate processing technology looks for personal data that people have online. This may include LinkedIn profiles and resumes that match job requirements. This type of recruiting software is excellent. It is much more streamlined and faster than looking through information by yourself. You could spend hours poring over cover letters to find the right candidate. In fact, you could spend weeks looking through online platforms and resumes. Yet, with AI, you can get this done much faster. This technology can look through many sources at the same time and will save you so many hours in the long run. You won’t need to manually search for every candidate. As such, you can spend more time attracting the right people and interviewing professionals. The number of resumes you are likely to get for any position may be as high as in the hundreds. You won’t have time to screen through two or three hundred different resumes. The number of qualified applicants in a stack of resumes may be as little as 12 to 25 percent. As such, you will need a quick and easy way to screen for the right applicants. You won’t have to spend hours looking through each individual application. For a more automated and quick hiring process, consider using AI to screen resumes. This technology uses performance and turnover rate data to make recommendations for hiring. AI learns from existing employees and their experience to screen and make recommendations. Additionally, the AI screening process also looks at public data and social media profiles such as LinkedIn to make these recommendations. Using AI for resume screening will save you so much time. You will have plenty of time left over for phone interviews and engaging with the candidates in person. Matching candidates to a particular role can be one of the most difficult parts of recruitment. As many as 52 percent of recruiters state that finding the right candidate in a pool of applicants is the hardest part of their job. Yet, AI technology can use an algorithm to match candidates with the strongest skills. You can match the right background for your particular opening. AI technology can look at a candidate’s traits, personality, and skills to match for a particular job. Artificial intelligence also looks at salary preferences and matches it up against job openings. This technology can even find actively seeking job applicants. Also, AI can find those candidates open to a new opportunity to streamline your hiring process. This will allow you to cut time away from seeking applicants that aren’t interested in a new role. Sometimes your job listings may have a gender bias. However, AI technology can remove those language barriers. It can take away any gender bias from a job listing. Are you having difficulty recruiting female engineers or technology professionals? These programs can help remove gender bias and help you hire a more diversified workforce. There are terms in job listings that have positioned either more female or male-oriented roles. It may not be obvious which words gear an opening toward a specific gender. Yet, the beauty of AI is that it will remove these language barriers and allow for more even hiring. You will be able to gain a more diverse applicant pool if you use AI to remove gender-based language from job listings. AI platforms can help look through your pipeline of employees to find the right ones. Essentially, AI can help you find someone internally. As such, you could promote people to certain positions so that you don’t have to look outside the company. This will help your search to fill a position move along much more quickly. The AI program would work through an automated hiring process. It would look through past resumes and applications that were already in your system. The technology platform would look through those resumes and match them up to current job openings and job descriptions. The system would remove any names and geographical considerations when looking through the applications. There would be less bias in terms of who could be promoted internally to an open position. This improves efficiency in the hiring process across the board. Through AI technology, past candidates may even find that they are being considered for other positions in the pipeline. Since recruiters have a talent pool already available in their prior filled jobs, it is useful to use these employees to fill future roles as well. Artificial intelligence platforms can also be used to search through online databases and applicant pools for more relevant candidates. Recruiters no longer need to look at solely the resume. There is now an infinite amount of information available about candidates online. As such, recruiters can use the information available on the web to find relevant professionals. Artificial intelligence can speed up the previous process of looking at social profiles to find what’s relevant versus what’s out of date and what information is key for bringing someone in for an interview. Recruiters can now use public profiles and match up that information with particular job descriptions. AI technology can be used to find more relevant candidates than in the past. These are just some of the ways that artificial intelligence platforms can be used by recruiters to find the right candidates and remove human bias from hiring. Do you have any other recruiting tips for removing human bias from the equation? If so, let us know in the comments below!